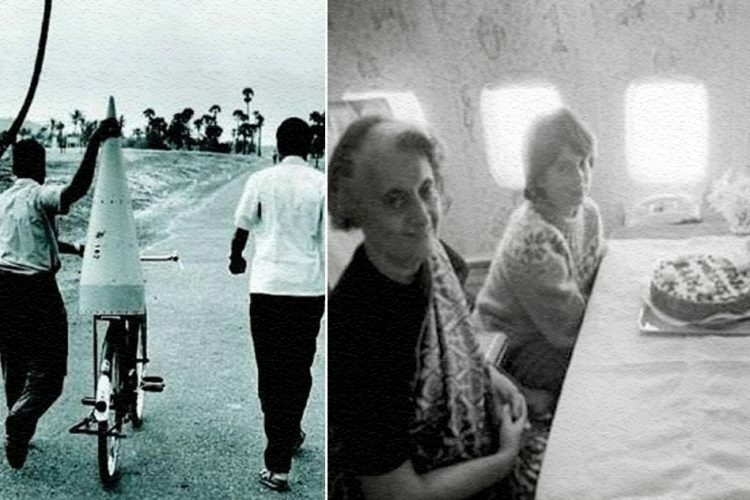 Two posts have now gone viral on Facebook, claiming that while ISRO was facing hardships in carrying out work regarding their satellites and rockets, the Nehru-Gandhi family was celebrating a birthday in a chartered plane. In both the posts, one photograph is common — that of the family celebrating a birthday in a plane. In one post, the other photo shows something like a part of a rocket being carried on a cycle by two men. 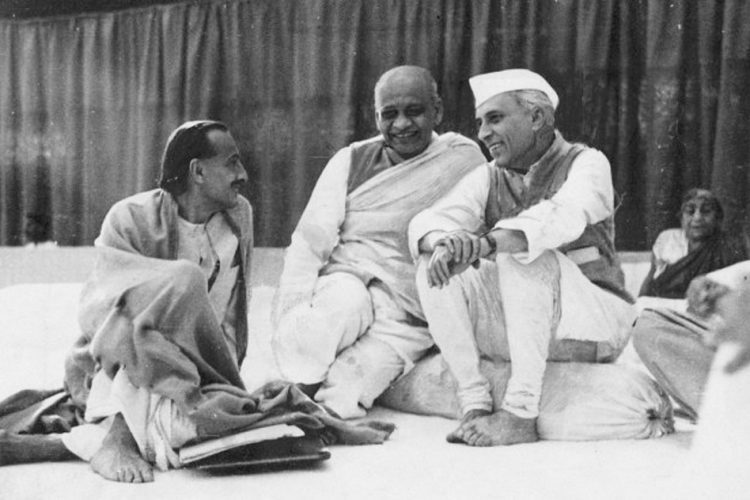 In the other post, the photo shows a bullock cart carrying a contraption on it, surrounded by a group of men. The post with the cycle claims that the Nehru-Gandhi family was celebrating a birthday in a plane at a time when a part of a rocket was being carried on a cycle by ISRO. 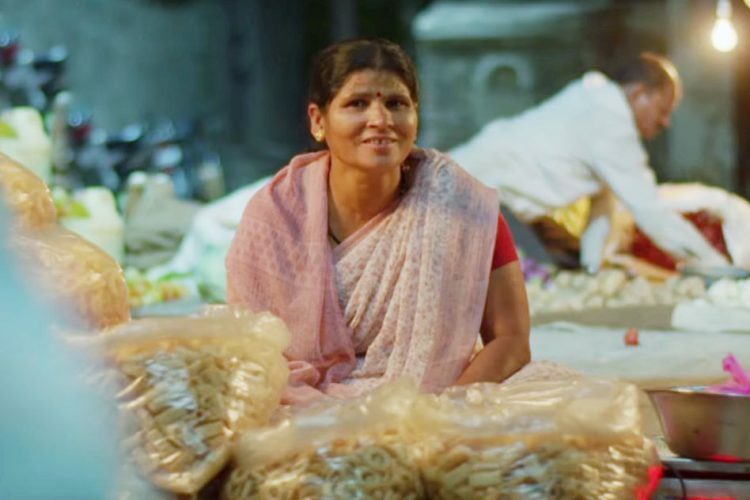 The post has over 4,000 reactions and more than 6,000 shares, and has been shared by a Facebook page called Post Card Fans. The post with the bullock cart similarly claims that while Rahul Gandhi’s birthday was being celebrated in a plane, ISRO was carrying its satellite on a bullock cart. 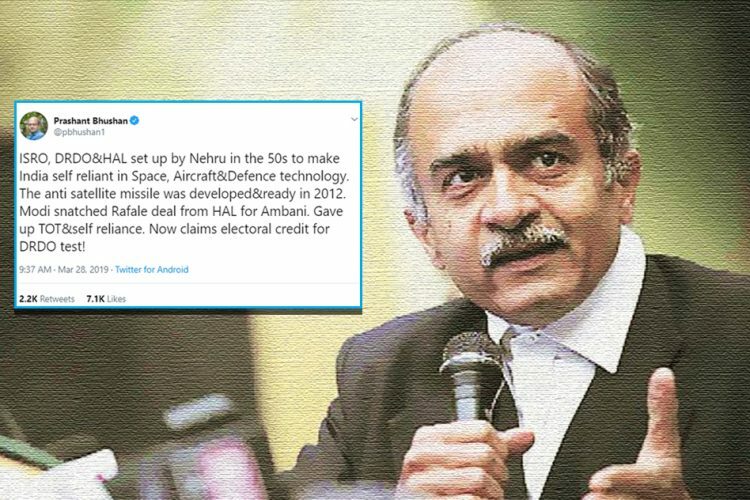 The Quint conducted a reverse image search, which found that a report by Livemint reveals that the photo with the cycle, which is courtesy of ISRO, dates back to 1966. 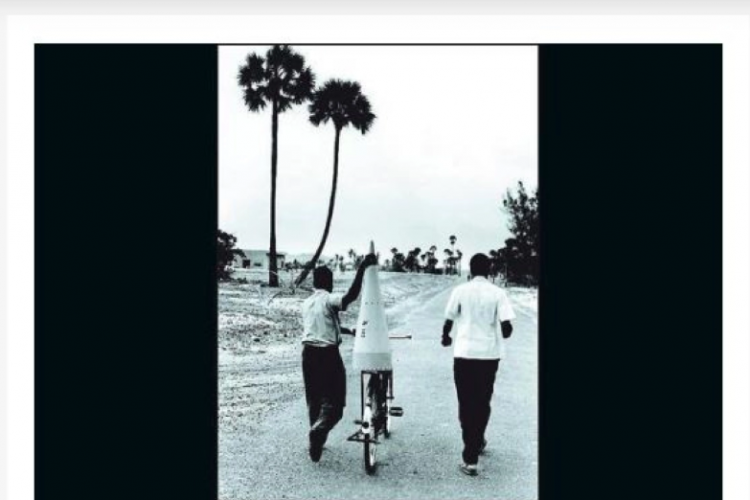 Earlier in 1963, India’s first sounding rocket was launched from Thumba, a small fishing village in Kerala, which is the actual location of the photo. 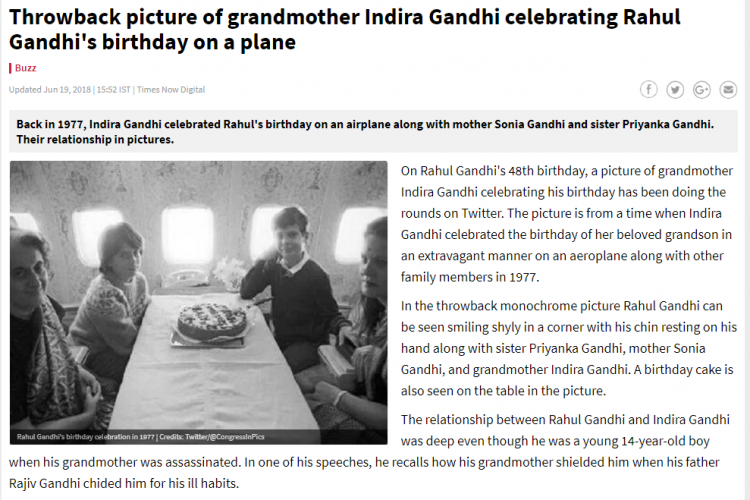 The picture of the birthday celebration in the plane is indeed a photo of Rahul Gandhi’s birthday being celebrated inside a plane by Indira Gandhi, Priyanka Gandhi, Sonia Gandhi and other members of the family. 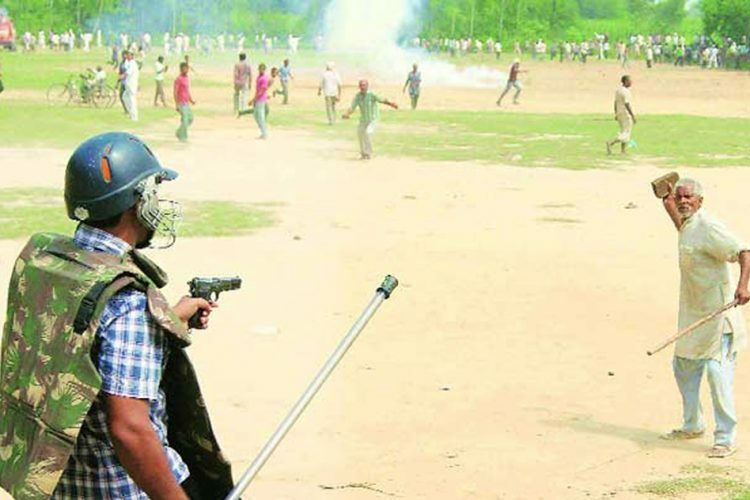 A report by Times Now, however, suggests that the photo is from the year 1977, which means that the picture with the cycle was clicked 11 years earlier. Also, Rahul Gandhi was born on 19 June, 1970, suggesting that when the photo with the cycle was taken, he was not even born. 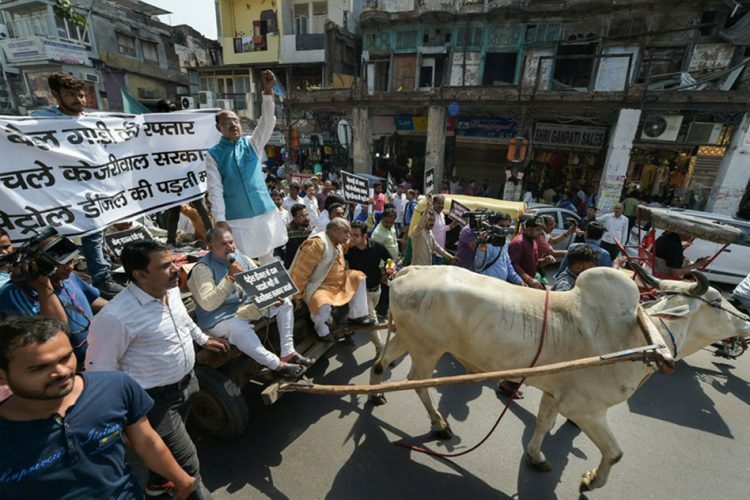 On the other hand, a Livemint report revealed that the photo with the bullock cart dates back to 1981. 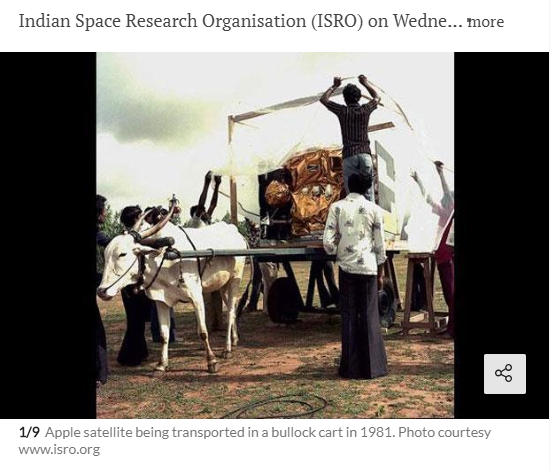 The object on the bullock cart is the APPLE satellite (Ariane Passenger PayLoad Experiment), which was being transported. A Hindustan Times report says that it was being carried on a bullock cart because space scientists of India were trying to find a transportable platform which was metal-free, and not because of lack of resources or funds. Again, an article by Padma Shri Dr RM Vasagam, former senior scientist at ISRO, corroborates this. Vasagam was also Project Director of APPLE. 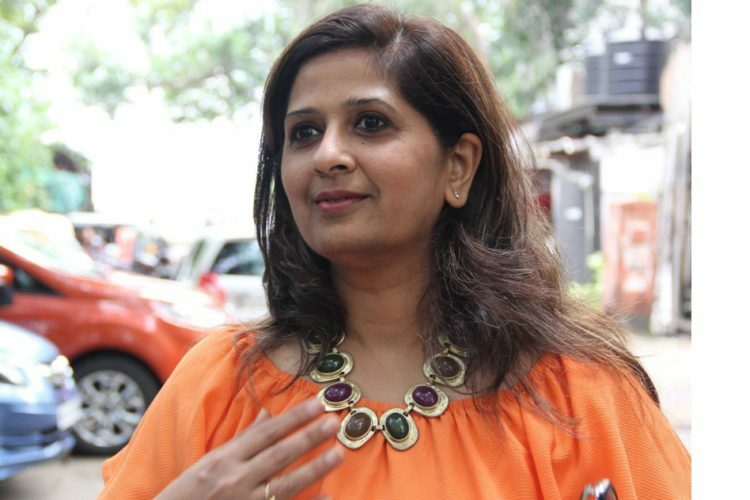 Hence, the photo of the birthday celebration and that of the bullock cart do not match and have no relationship to each other. Clearly, ISRO had chosen to use the bullock cart for its own purpose.